In many traditions of magic, both older and modern, the concept of sympathetic magic plays a crucial role. The idea behind sympathetic magic is, at its core, that a person can be affected magically by actions performed towards something that represents them. To carry the idea of sympathetic magic a step further, in many modern magical traditions we use correspondences or connections between non-magical items and magical concepts. It’s why sage is associated with wisdom, or rose quartz with love, or the color red with passion. 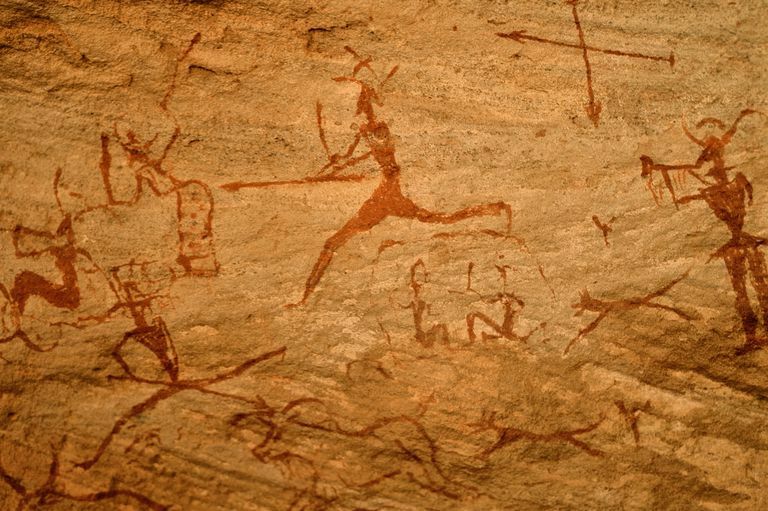 There are some theories that prehistoric cave art may represent the earliest documented examples of sympathetic magic. If, for instance, a tribe’s shaman wanted to ensure a successful hunt, he might paint images of the hunting group killing an animal that could later be consumed by the whole tribe. "Essentially, the term ‘sympathy’ signifies the urge and ability to enter into another person’s or creature’s mental state—be it that of your best friend’s or of your dog’s—and feel both an affinity with, and a compassion for, the state of their existence… If we go back to what we previously thought were the earliest man-made prehistoric images created in the cave complexes of Altamira in Spain, and Lascaux in France—say 20,000 to 15,000 B.C.—the paintings of animals discovered there displayed an acuity of visual perception, a drawing skill, and expression of ‘feeling’ for the animal, that can certainly be described as ‘Sympathetic’... And one of the world’s most distinguished anthropologists, Henri Breuil, added the word ‘Magic’ in describing them, denoting the archetypal belief held by many so-called ‘primitive’ societies, that to possess the image of an animal (so vital for the hunter’s own survival), ensures a degree of human control over the animal’s destiny when it comes to the hunt. In addition, pre-hunt rituals involving the image were intended to assure the animal spirit ‘that it would not be hunted without mercy." In other words, the human consciousness causes us to believe in magic based on the connection of an image to the thing or person that it represents. In 1925, anthropologist Harlan I. Smith published "Sympathetic Magic and Witchcraft among the Bellacoola," in which he looked at the cultural aspects of sympathetic magic among an indigenous group in the Pacific Northwest. Smith said that the magic practiced among the Bellacoola tribe was generally based on the properties of plants and animals, and cited a number of examples. For instance, if parents wanted their baby girl to grow up to be a fast and efficient berry picker, "the ring of skin from between two cuts around a beaver's foreleg was put on her wrist and left until it fell off." A baby boy, on the other hand, was destined to become a strong man if his father threw the skin of a grizzly bear over him. A perfect example of sympathetic magic is the use of the poppet or doll in magical workings. The poppet has been around for a long time - there is documentation that the ancient Greeks and Egyptians used them - long before pop culture discovered “Voodoo dolls.” A doll is used to represent a person, and the magical acts performed on the doll are then reflected on the person himself. Using sympathetic magic is a great way to bring about healing, prosperity, love, or any other magic goal you can think of.